The British and Roman empires are often invoked as precedents to the Bush administration's aggressive foreign policy. But America's imperial identity was actually shaped much closer to home. In a brilliant excavation of long-obscured history, Empire's Workshop shows how Latin America has functioned as a proving ground for American strategies and tactics overseas. Historian Greg Grandin follows the United States' imperial operations from Jefferson's aspirations for an "empire of liberty" in Cuba and Spanish Florida to Reagan's support for brutally oppressive but U.S.-friendly regimes in Central America. He traces the origins of Bush's current policies back to Latin America, where many of the administration's leading lights first embraced the deployment of military power to advance free market economics and enlisted the evangelical movement in support of their ventures. 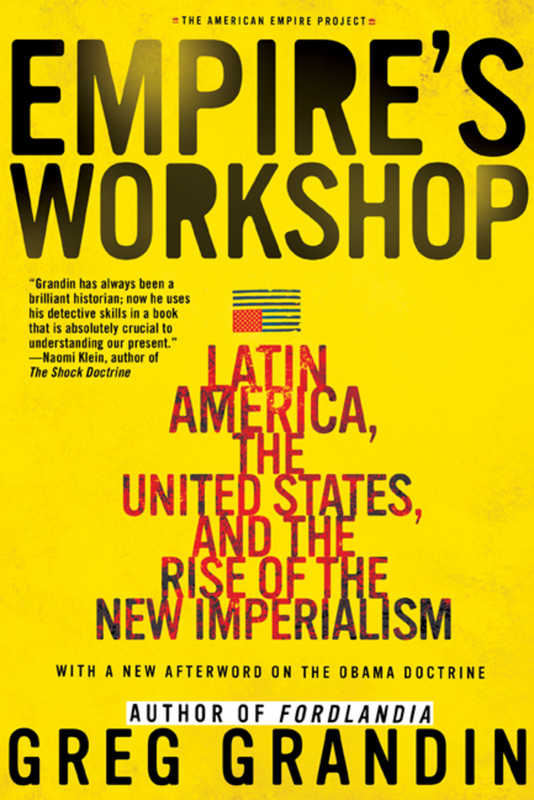 Greg Grandin is the author of Fordlandia, Empire's Workshop, The Last Colonial Massacre, and the award-winning The Blood of Guatemala. An associate professor of Latin American history at New York University, and a Guggenheim fellow, Grandin has served on the United Nations Truth Commission investigating the Guatemalan Civil War and has written for the Los Angeles Times, The Nation, The New Statesman, and The New York Times.